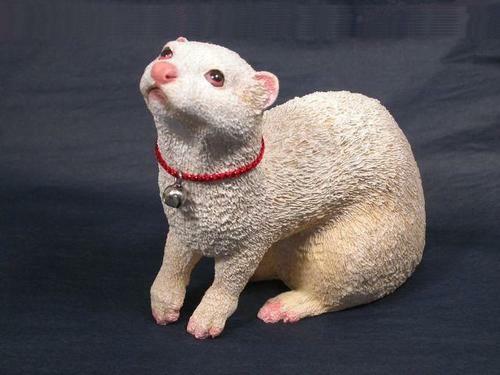 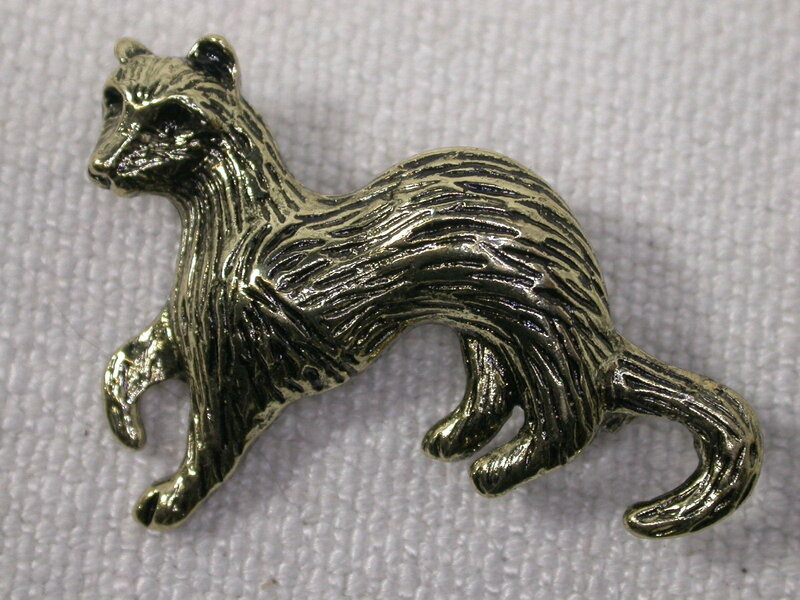 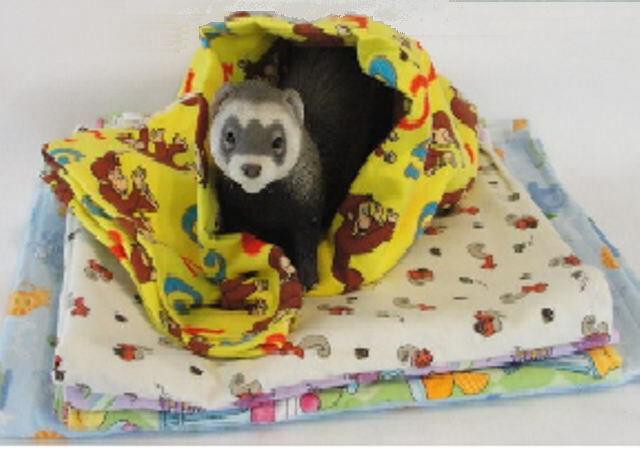 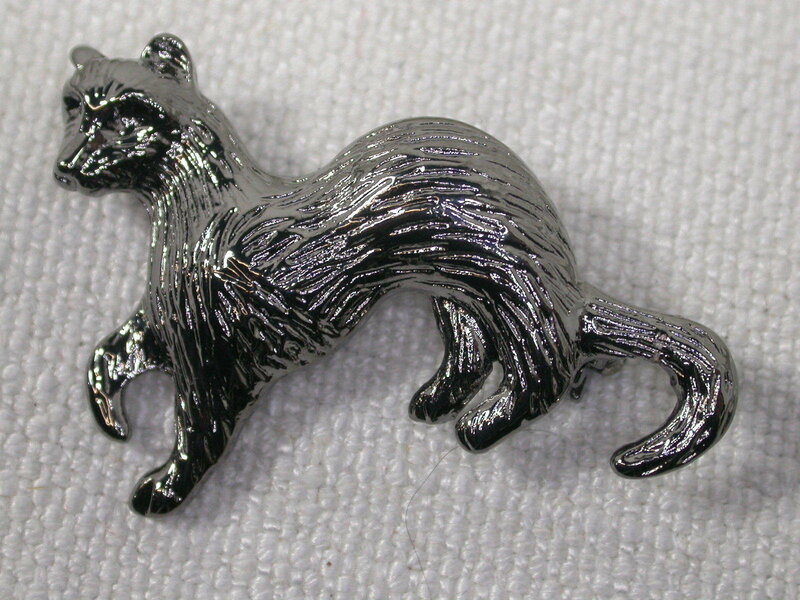 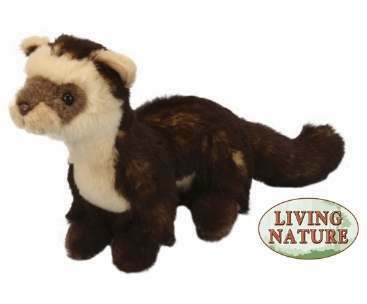 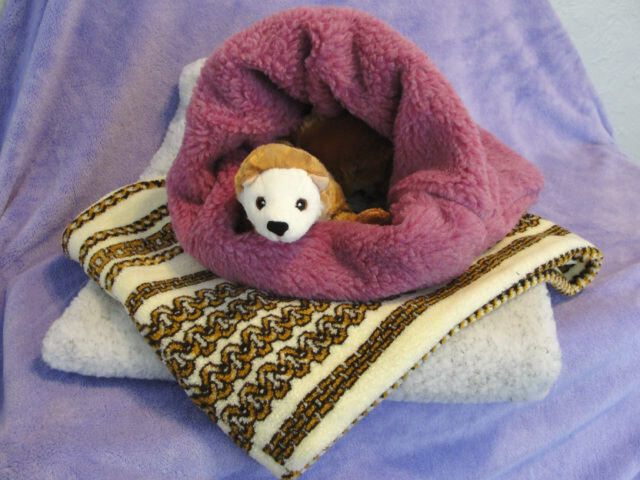 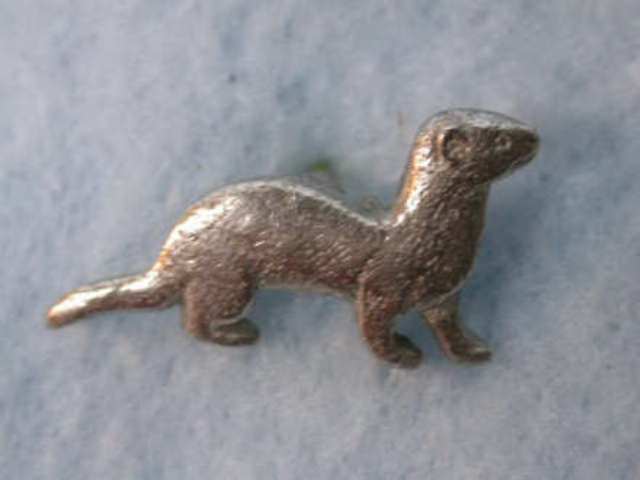 1 and 3/4" long and approximately 1 1/4" tall, this Ferret Association exclusive pin will make you smile. 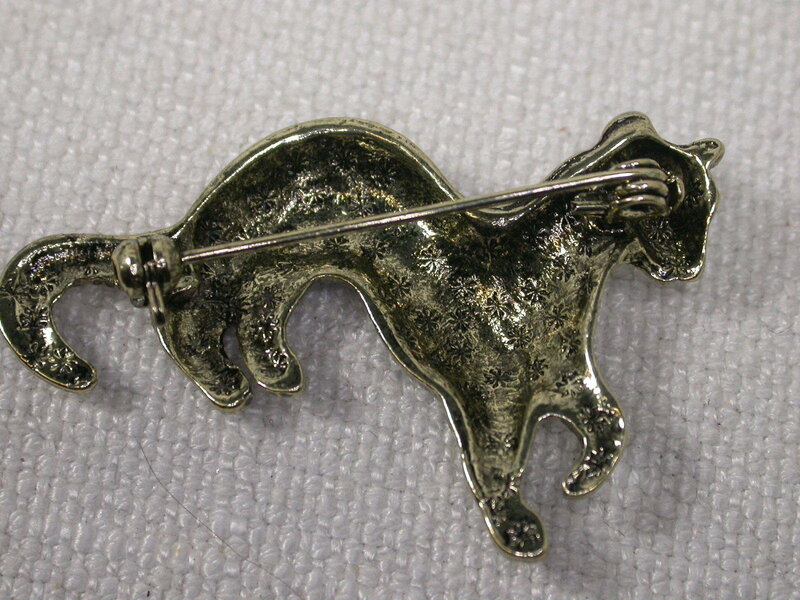 Inspired by an older English pewter piece, it comes in two finishes, a polished brass on alloy or a dark nickel finish on alloy. 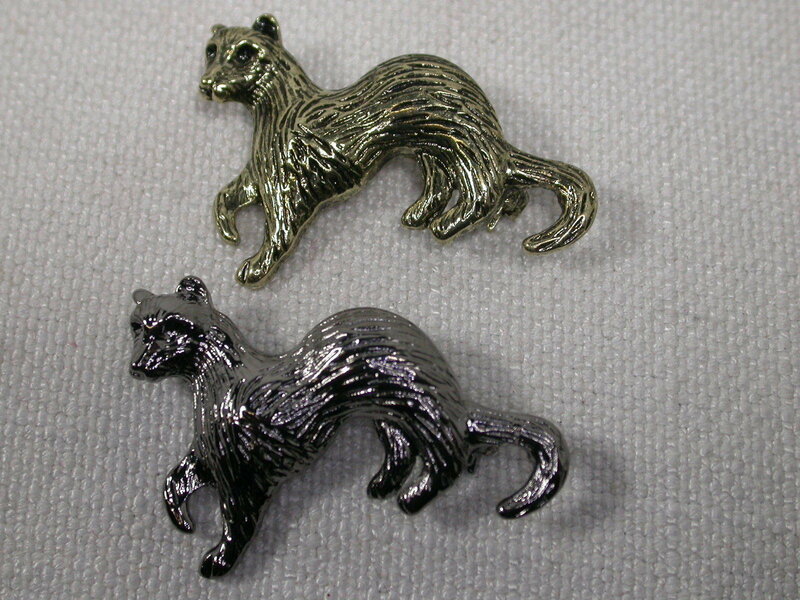 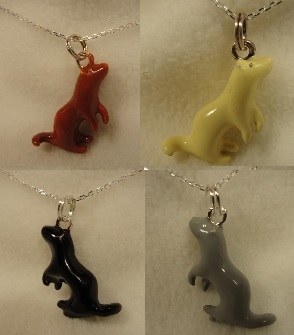 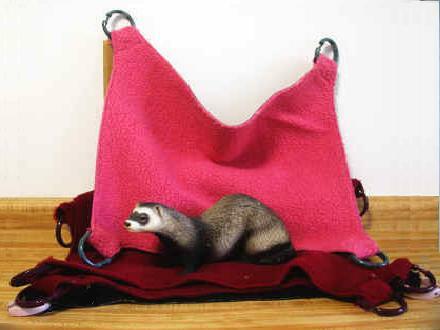 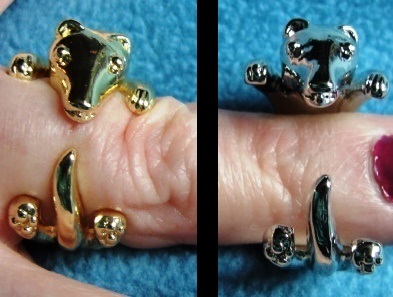 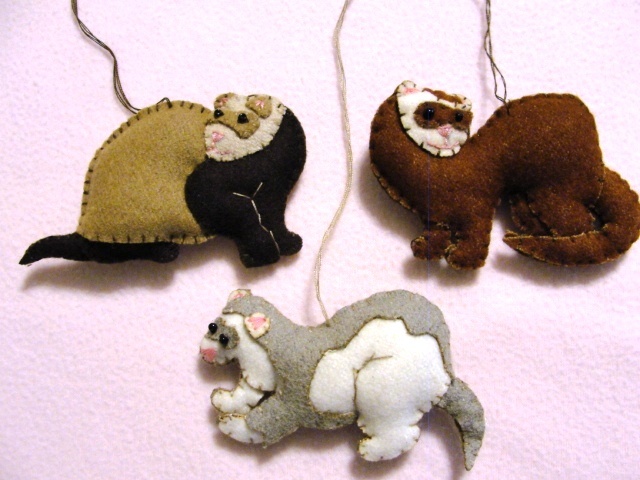 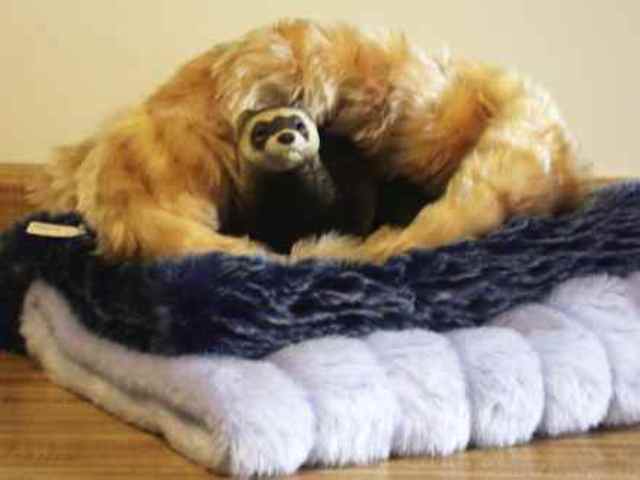 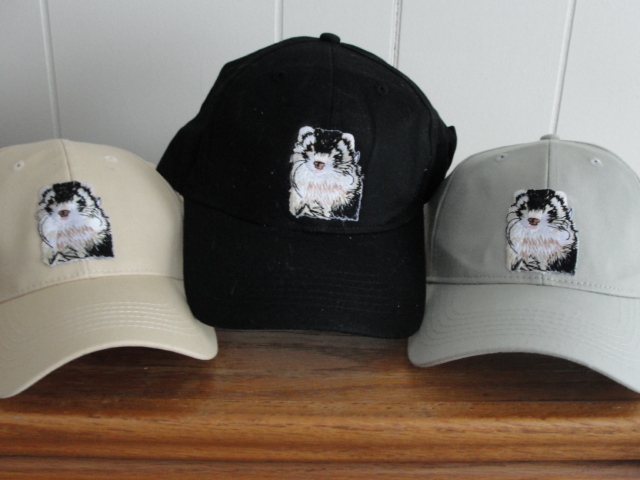 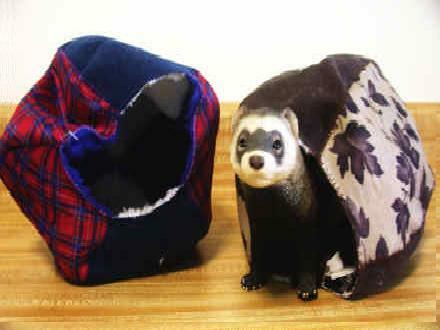 Both have just a bit of sheen, yet enough color to suggest a sable or dark pewter ferret. 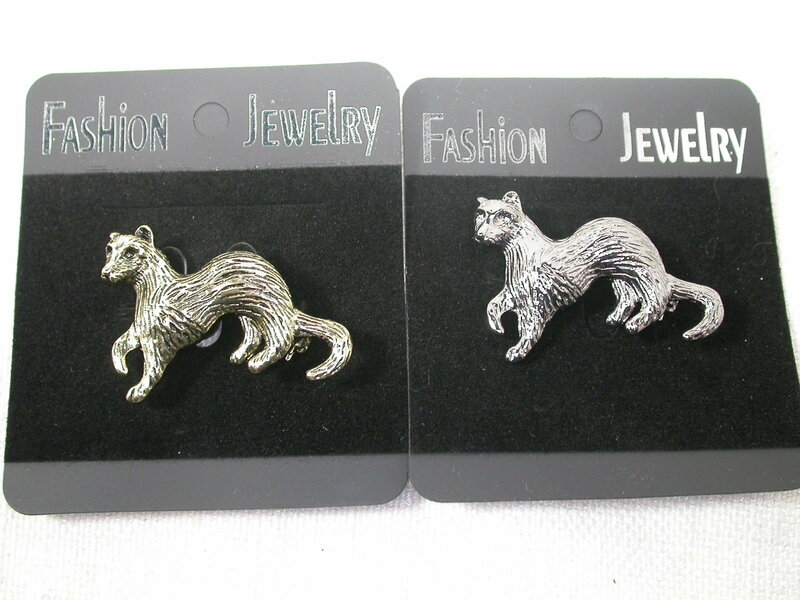 Nicely detailed with safely clasp on back.